Heavier people have different needs when it comes to their mattresses. A mattress that is a good fit for lighter-weight people won’t necessarily work well for someone who is heavier. Heavier people need extra support, and we also need a mattress that keeps durability in mind. In this guide, I’ll outline five mattresses that deal with these issues quite well. If you are a larger person like me, one of these mattresses could be the right fit for you. Durable even for heavy people. The coil system is highly supportive as well. Materials are extra supportive and durable. They use, for example, higher-density foams and they have a coil system with a much higher coil count. The unique hyper-elastic gel polymer is firm and pressure relieving at the same time. Heavier people should feel great pressure relief on shoulders and hips. The WinkBeds Plus is one of WinkBeds’s four models. It is made to fit the needs of heavier sleepers in a few ways. First, the foam that is quilted into the cover is designed to be “sag-proof,” so larger people don’t create unwanted body impressions. In addition, the coils in the mattress are taller and made to be supportive for heavier weights. It is a firmer-than-average mattress, so it could be a good fit for heavier back sleepers. A zoned latex layer also adds extra support under key areas such as the hips. At the same time, the pillow-top adds plushness to relieve some pressure on the shoulders and hips. This might make the mattress suitable for some heavier side sleepers. Additionally, this should be a cooler sleeping mattress. The cover and a layer of gel foam are both designed to dissipate heat, while the coils promote airflow. 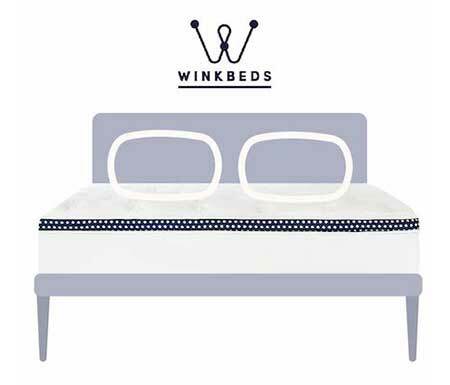 The WinkBeds is an innerspring mattress with a luxury, hotel feel. It is designed specifically for larger people. Out of all these mattresses, the Big Fig is constructed specifically for much heavier people. 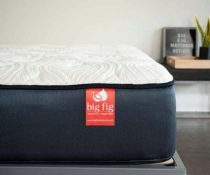 While most of these mattresses are designed with larger people in mind, the Big Fig is made for people in the 300- to 500-pound weight range. The mattress also comes with a foundation to add extra support. People lighter than 300 pounds may find this mattress to be too firm, as they won’t be heavy enough to press into the top foam layers. However, those over 300 pounds should feel some nice pressure relief from the thin pillow-top and top foam layers. The mattress can hold up to 1,000 pounds, so large people who sleep with a partner should find this mattress to be a good fit. 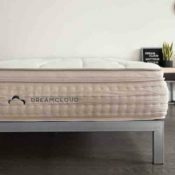 The foam layers in this mattress are very durable, and it has a coils system with a much higher coil count to provide extra support. This means the Big Fig should be a long-lasting mattress. The layer of gel-infused latex foam is perforated to allow for airflow. The cover incorporates ThermoGel, which is designed to dissipate heat. The coils should also help promote airflow. Read our full Big Fig review HERE. The Big Fig is a very supportive mattress. It is very durable and designed to support much larger weights. The DreamCloud is not made specifically for heavier people, but it could still be a good option for heavier back and side sleepers. This is true for two reasons. 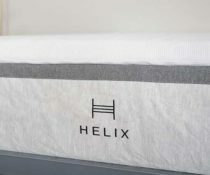 It is a firmer-than-average mattress that should be supportive enough for heavier back sleepers. The pillow-top does a good job of relieving pressure on the shoulders and hips, which can offer comfort to side sleepers. That being said, stomach sleepers and heavier sleepers over 300 pounds may need more support. It has the most luxury feel out of all these mattresses. The pillow-top is very plush, and it is woven with cashmere. It has a very soft feel that you might experience in a hotel. It should be a cooler sleeping mattress. It has a cooling cover and gel-infused memory foam to help dissipate heat. Because it’s a hybrid, it also has coils that help move air through the mattress. 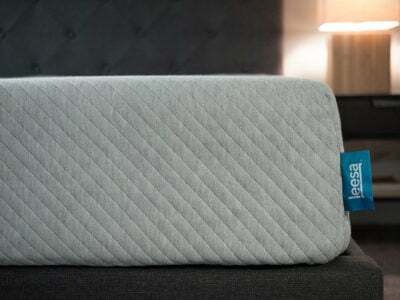 DreamCloud is a high-quality, luxury mattress that a lot of people are going to like. 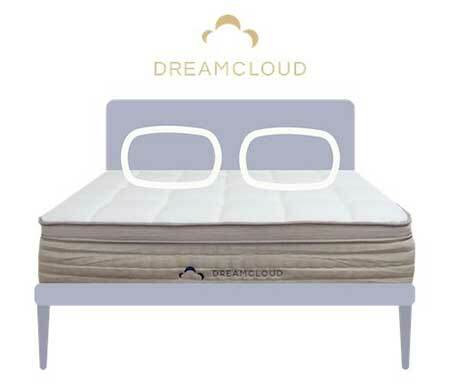 You can get $200 off the DreamCloud mattress simply by clicking the link below. 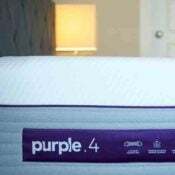 Following the success of the original Purple mattress, the company released the Purple 2, 3, and 4. These new models incorporate coils into their construction. Out of these new mattresses, the Purple 4 is the best option for heavier people. That’s because the Purple 4 has four inches of a hyper-elastic gel polymer. This is a unique, proprietary gel grid that is both firm and pressure-relieving at the same time. It is designed to stay flat and supportive until a certain amount of pressure is applied. This means heavier people should activate this layer more than lighter people. Because it is four inches thick, heavier side sleepers should press in without “bottoming out” on the mattress. I personally felt almost no pressure on my shoulders and hips while lying on my side on this mattress. Out of all these mattresses, this is the best option for heavier side sleepers. The Purple 4 should also be one of the cooler sleeping mattresses on this list. The gel grid allows a lot of room for airflow. 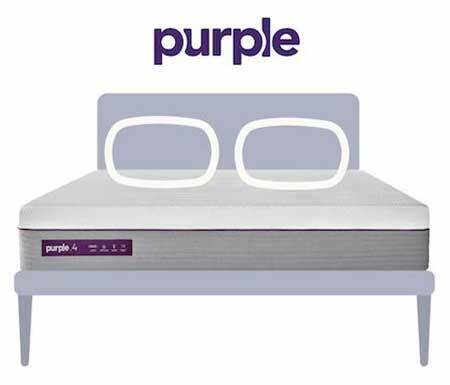 Purple 4 is a perfect choice if you are a side sleeper, are looking for a long-term investment, and are a hot sleeper. Get the best deal on your new Purple mattress, plus get a free pillow when you click the button below. 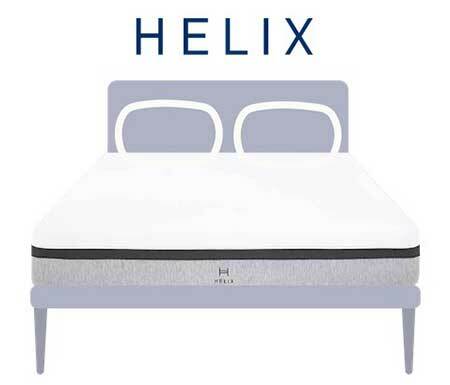 Helix is an interesting company in that you can take a sleep quiz to help you find the mattress to fit your specific needs. There are nine options. The Helix Nightfall is designed for heavier people. It has an extra layer of high-grade polyfoam that is designed to give extra support for heavier sleepers. It also has taller coils to give another layer of support. Out of this group of mattresses, the Nightfall is the best pick for those who prefer a memory foam feel. It is the closest to that slow-sinking feel you get with memory foam. In addition, this mattress shouldn’t run too hot. The coils allow for good airflow, and you also have the option of purchasing an Ultra Cool Cover. You can zip it onto the top of the mattress and the phase change material will help dissipate heat. The Helix Nightfall is a supportive hybrid that could be a great match for heavier sleepers. What Should Heavy People Consider When Looking For A Mattress? If you are a larger person, you should take a few extra factors into consideration when choosing a new mattress. By considering these criteria during the buying process, you should find a mattress to fit your needs. No matter your size, durability is something to think about when looking for a mattress. Everybody wants to know how long their mattress will last, because the helps you understand if the price tag matches the value. When you are a heavier person, durability is even more important. Your extra weight can strain your mattress and decrease its overall lifespan. To ensure that your mattress lasts for a good long while, look for models that incorporate high-density foams and extra coils. These components can counteract the wear and tear heavier weights can put on a mattress. These components can also solve the problem of sagging. As we lie on a mattress over time, body indentations can form. These form even more quickly under heavier weights. These indentations can cause discomfort and decrease the life of a mattress. To combat this issue, look for mattresses that have “sag-proof” foams to retain their form over time. 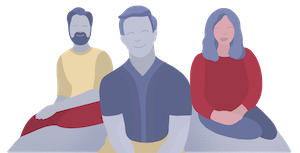 Support is also worth considering, but it can be difficult to find the proper amount if you are a larger person. Many mattresses (both memory foam and hybrid) may not have the needed support for heavier sleepers. 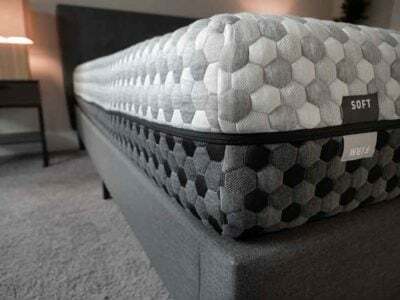 High-density foams will not compress as easily, meaning there is less chance that you will “bottom out” on the mattress and engage the firm support layers. Taller and higher-grade coils are also designed to support more weight. 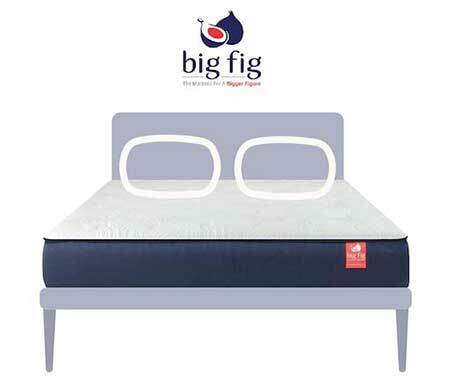 Some mattresses, such as the Big Fig, also have a greater number of coils across the mattress. This will allow the mattress to support even heavier weights. Another important factor to consider is the overall height of the mattress. If a mattress is taller, it could offer you more support. If the mattress is thin, heavier people could press right through the mattress. In addition to looking for a thicker mattress overall, it’s also helpful to consider the thickness of a mattress’s comfort layer. 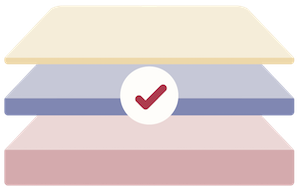 If there is a very thin comfort layer, heavier people may have the issue of “bottoming out” on the mattress as you press through the comfort layer and engage the support layers. The thicker the comfort layer, the less chance you have of experiencing this problem. The term “edge support” refers to how well a mattress holds you up when sitting or lying near its edge. Does it collapse completely or support you well? Edge support also determines how close to the edge of a mattress you can lie comfortably before you start to feel like you’re going to roll off the edge. For larger people, this is an important feature. If you are taller, heavier, and/or sleep with a partner, you want to utilize as much of the mattress’s surface area as possible. Also, you can compress a mattress more than a lighter person, so you want to know if you can sit and lie down comfortably near the edge of your mattress. As a general rule, hybrids and innerspring mattresses usually have better edge support than memory foam mattresses. That being said, both hybrids and all-foam mattresses sometimes have reinforced edges and foam encasements to enhance their edge support. It’s a good idea to ask the mattress retailer or manufacturer about construction specifically as it relates to edge support. While heavier sleepers may think that a very firm mattress is the best, it is really not that simple. It is true that a firmer mattress should offer more support. However, it is worth thinking about your specific sleeping position and whether the mattress’s firmness will be a good fit for your preferences. Heavier-weight back sleepers want your hips to sink in just a bit. Mattresses for heavy people are usually firmer than average, but you don’t want your mattress to be too firm if you sleep on your back. You want just enough give so that your hips sink in and keep your spine in alignment. Heavier-weight side sleepers want to get nice pressure relief on their shoulders and hips. You are going to want some softness if you sleep in this position. However, if you’re heavy and the mattress is too soft, you could bottom out. 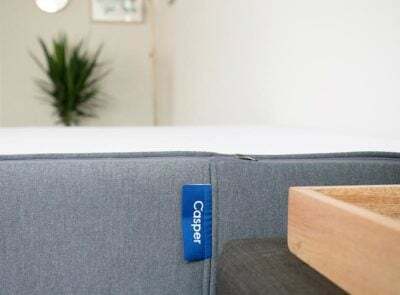 Larger side sleepers need to consider their weight and the comfort layer thickness to ensure they get good pressure relief without pressing too far into the mattress. Heavier-weight stomach sleepers should have the easiest time finding a mattress. As long as the mattress is firm enough, you should get the support you need. Heavier-weight combination sleepers want to find that right balance of comfort and support. Again, consider the firmness, comfort layer thickness, and your own weight while looking at different options. If you are looking for a mattress for you and your partner, you need to factor their weight and sleeping position into the equation. If your partner is close to your weight and sleeps in the same position as you, the decision could be easy. However, if they are a different weight and need a softer or firmer mattress, your decision will be more difficult. You may need to find a middle ground where you each compromise a bit on the comfort and support you need. You should also consider your total weight. Those extra pounds could put extra pressure on the mattress and increase wear and tear. Mattresses such as the Big Fig are made to hold up to 1,000 pounds, and there are also foundations designed to add more support for your mattress. When you are thinking about the temperature of your mattress, the mattress construction will play a big part. Innerspring or hybrid mattresses will most likely sleep cooler than a memory foam mattress. Coils allow for airflow, while memory foam can trap heat. That being said, many mattress makers perforate their foam layers and make channels in the foam for air to flow. In addition, they can infuse gel into the foams or use an open-celled design to allow for good breathability. It’s important to ask about the mattress’s materials if you’re concerned about sleeping hot. If you are larger, your weight is another consideration. Especially if the mattress contains memory foam, you may sink further into the mattress than a lighter person. When this happens, you can be more enveloped by the mattress so less of your body is exposed to cooling air. As a result, larger sleepers who worry about sleeping hot may want to think about finding a firmer mattress. If you are able to sleep more “on” the mattress, you should stay cooler while you sleep. If you think about all these criteria, you should be well on your way to picking a great mattress to fit you. It is not as simple as choosing the firmest mattress. You want a durable mattress that won’t sag but still fits your sleeping needs. Finding the proper mattress for heavier weights can be challenging, but the right mattress is out there. My husband and I are both around 230 lbs. He prefers a firmer mattress and is a side/back sleeper. I prefer a medium/firm mattress and am a side/stomach sleeper. Everything I am seeing says the Purple 3 mattress would probably be the best choice. However we can’t afford that. What would your next recommendation be? I actually think the Purple 2 would be better and would be more in your budget. I very confused with all the mattresses out there. I’m 5’8 and weight 319 lbs, I’m a side sleeper 90 percent of the time, have hip back and shoulder pain. My husband is about 5’8 weighs 230 and is a back sleeper. He has back pain. He sleeps cold and I sleep hot. I’m looking for a bed that I do not have to use box springs with and will accommodate both of us while lasting a long time with a good warranty. Can you please recommend a good bed for us. Winkbeds Plus could be a good choice. I’m in search of a new mattress, replacing a 10+ year old Kingsdown innerspring. I’m 255 lbs (80/20 stomach/side), my wife is 190 lbs (60/40 back/side). I generally prefer a firmer feel, she’s more medium. Looking for your recommendation? My finance and I have been looking to purchase a new mattress for the past few months now. I’ve been doing my research on all these various online mattresses. I am 6’0″ and 300lbs and my partner is 5’4″ and 230lbs. Judging by how 50% of Purple buyers either love or hate the mattress, I’ve removed this bed from our options as I’m not willing to pay over $2,000 just to try the bed. We are used to sleeping on an older pillow top innerspring mattress at this time. 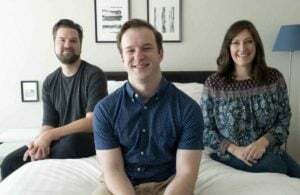 The issue I feel we are encountering is that since our weight spread is so significant, it’s hard to find a bed that will support us both as we’re in different weight categories. We both are combo sleepers, however I prefer to sleep on my back, while my partner prefers their side. 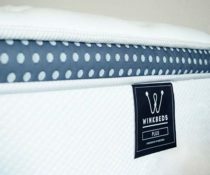 I’ve had my sights set on Winkbeds for the support and longevity of the design, however picking a firmness level just doesn’t seem that easy for me as reviews are ALL over the place with what weight categorizes for which firmness level (Ex. : One reviewer says 300+lbs for Plus model, another reviewer will say greater than 230lbs for Plus model). I’m very confused, to say the least and I’m stuck. I wish they would just have a heavy reviewer for all these different beds that are made specifically for heavier people such as myself, but unfortunately every review I’ve seen is done by someone who’s less than 200lbs…. How can someone who doesn’t meet the criteria of a ‘heavy sleeper’s bed’ review a mattress that doesn’t benefit them? I very happily slept on a Tempur-pedic for over 15 years, until it was destroyed by the movers in a recent crosscountry move. I’m 6‘3“ tall, weigh 300 pounds. I have sleep apnea, neck, back, and knee arthritis. I sleep almost exclusively on my side. I recently tried both Nest mattresses, “medium” and “firm”, and found them both far too soft, awakening each morning, and often through the night, in pain. I’d be grateful if you could recommend a suitable mattress. I’m looking for a feeling similar to what I had with the original Tempur-pedic. I detest pillow tops, prefer to feel the slow, direct give into the memory foam. And some bounce, for non-sleep bed activities, would be a delightful bonus. Have you taken a look at the new Purple mattress? The Purple 3 or 4 would probably be a great fit with the one exception that it doesn’t really have a memory foam feel. Hi Joe, can I get your recommendation on a mattress? I’m 6’4″ 260lb and the wife is 5’3″ 130lbs. I’m a 100% side sleeper and the wife is 70% side, 30% back. 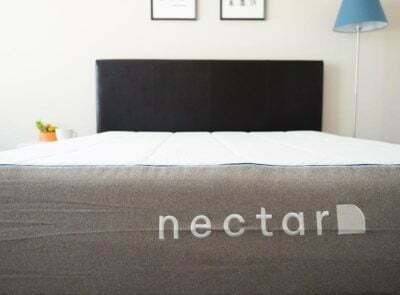 We currently have a Nectar mattress that I demolished in less than 3 months. It was great at first, but now I sink right in and wake up with hip, shoulder and arm pain. My weight seems to cause this to happen on every mattress we’ve had, especially the memory foam type. I need something that will last years, not months. Would any of the above stand out in your mind as being better for us? Thanks! Something like the Purple 3 would be a good fit and won’t sag over time. Joe, I’m sleeping on a Tempur-Pedic now, we weight 250 and 189 pounds, most of the time side sleepers. I dont like that the Tempur-Pedic makes you feel hot really hot all the time . Our mattress is 10 years old and we need a change . I was reading about casper purple nectar Leesa and I’m not sure what to buy. Without pain in our back and neck .For me having a cold feeling mattress is very important. What will you recommend . I would get the Purple 3. It won’t sleep hot. It is basically temperature neutral. Take a look at the Purple mattress, either the Original or New. I was wondering which would be a good fit. We are both side sleepers. I am around 230 and prefer a soft mattress I experience hip and shoulder pressure points frequently. My partner is around 250 and prefers a firmer bed. I have been looking at the Tomorrow, Helix Nightfall, and Nectar. Should I be looking at beds for heavier people only? Edge support and staying cool are important factors as is the trial period. We purchased a plush mattress 2 years ago and I still can’t sleep on it without pain. What do you suggest? Thank you or your help. Hello. I am 425 lbs, partner is 165 lbs. Both side sleepers. Need something medium firmness, and cool. Preferably able to be flipped (for durability sake) that has the same firmness on each side. Is there anything out there like this? Thanks. I don’t know any that are flippable the way you want it. The Purple 4 would be a good fit and is probably the most durable mattress I’ve tested. We need a new bed. I am 6’1″ 400 lbs (70% side / 30% back) and my wife is 5’4″ 230 lbs (100% stomach). What would your recommend? Check out the Big Fig. I am about 350lbs however I am a side sleeper and I prefer a softer/plus feeling mattress. Any suggestions? Go with the Purple 4 for sure. My wife and I have been hunting for a new mattress. I’m 6’4″ 315 and my wife 5’10” 270. My wife tends to be 60% side 40% back, I’m about 50/50 side and back. We prefer something that offers that luxury feeling. Nothing more then a 7.5 on the firm rating I was looking at the purple 4 vs the Wink Bed plus. I didn’t see a direct sure by side for those two. Would you recommend one over the other based on our needs? The purple is pretty up there in price. I don’t mind spending the money if it truly is worth that much more in cost. I think the Purple 3 would be the best choice for you guys. Please delete above comment. I apologize for my rudeness, Joe. You promptly responded, I just did not see it. Thank you very much for all the great resources you’ve provided. Top notch! I am a 5′ 6″ woman at about 300 lbs. I sleep about 50/50 side and stomach. What might be a good mattress for me? I was looking at the WinkPlus or maybe the Nectar. I would maybe go for the Helix Nightfall. I am 315 lbs and 50% back and side sleeper, my wife about 160 lbs and the same 50% back and side sleeper……What mattress is best for me as my Pillow top I have is sinking on my side of the bed. If the Big Fig the best choice for me. The big fig is probably too firm for side sleeping. I would do the Purple 3 or 4. I need a firm mattress . I start on my side but end up on my back . I have sleep apnea and need a mattress for heavy people . Cost is a factor. Your imput would be greatly appreciated . The Big Fig is definitely quite firm and could be a good fit for you. My husband is 6’4 275 and I’m 5’9 190 so I’m thinking “heavy” category. I like to sleep on my stomach and sometimes side and he’s a side sleeper and sometimes back. What would you recommend? I’m seeing hybrids maybe woudl be a good option. We currently have a “bed in the box” and I’m experiencing lots of back pain. Thanks! I have Arthritis all over,what mattress do you recommend? I would check out the new Purple 4 mattress. The Sealy would be more appropriate from a firmness perspective. I have had many problems with mattresses sagging, what’s the best mattress for that? All the ones listed here are going to be good at preventing sagging. Joe, I’m 6’1″ weigh about 260 lbs. My wife is smaller, weighs much less, 125-130 lbs. She is a back sleeper and maybe 20% side sleeper. I’m a 75% slide/25% back sleeper. Would the Sapira work for us? My other choice was the Loom and Loaf med/firm. I think the Sapira would work. It should be good for bigger side sleepers and for most back sleepers, so I think it could be a good fit for you guys. What hybrid would work better? I don’t like foam as it does not have edge support. And when I tried a latex mattress I did not find it comfortable. The Sapira has the best edge support I’ve tested. Check it out. I’m 6’4” 285lbs, she’s 5’4” 125lbs. We’re both primarily side sleepers, with some occasional back sleeping. I have a herniated L5 disc in my lower back that causes sciatica. I’ve also been waking up with shoulder stiffness on our current, desperately needing to be replaced, Serta mattress. After reading these reviews, I lean towards a Purple 4. But I believe I read somewhere online that it might not be ideal for people with lower back pain. Any truth to that? Should we definitely consider the Purple 4 over the Purple 3? To be honest, I’m somewhat persuaded by Purple’s value proposition from the research I’ve done so far… but, in your expert opinion, does the value add of the Purple 4 when compared to the other options reviewed here (particularly the Dreamcloud and Helix) justify the rather significant price difference? We’re willing to pay if it’s truly a difference maker, but hesitate that there’s only a marginal value increase in comfort/support/quality for a significant difference in price. Thanks so much for all the information you’ve provided! I’ve found it all extremely informative as we navigate the overwhelming process of mattress shopping. I think you should get the Purple 3. It should be good for back pain in general. We are a 6’2″/290lb and 5’2″/145lb — side and back sleepers. I’d been looking at the Saatva and Alexander Hybrid but did not see them on your list. I would like a hybrid mattress and edge support is important to me. Both good choices as well, but I think the density of the foams may not be high enough for someone at 290 lbs. I haven’t tested it yet, but check out the Big Fig mattress. It looks to be a good fit. In you opinion, what constitutes a “heavy person” when it comes to mattresses? I am 6.3 and weigh about 265 lbs (should be about 200 lbs but this beer belly I am sporting appears to be here for the long haul). So the mass is spread out a bit. I am side sleeper for the most part and I currently wake up with sore hips and shoulders. May current mattress is a Beauty Rest “Recharge” where I can feel the coils in my hips. Not a good mattress for me. In any case, many mattresses show 300 lb or 350 lb person weight limit like purple, Leesa, BEAR, Loom & Leaf etc…. Should I be looking specifically for beads for heavy people or would one of these more mainstream beds be just fine??? I would say you are at the upper threshold, so I would recommend looking at a mattress that is specifically good for heavy people. Can’t seem to find a review for the Reverie mattress. I am a heavier person and was looking at the nectar and Loom and Leaf. Comments? Do you sleep on your side or back or stomach? Joe, we are looking for mattresses and having listened to several of your reviews I wanted an opinion. We currently have two full size mattresses that we put together to make one huge bed. (custom headboard and Comforter cover). My wife had MS and her bed is adjustable. We are both side sleepers except when the bed is adjusted. Our current beds are Sleep Number but I am heavier (275) and finding that a low number doesn’t work (back unaligned) and a high number results in shoulder and hip pain. I have been looking at the Sapira and the Nolah. I’m sure one of these two beds is the right bed. I worry about the Sapira being too firm, but it may be great, and I worry about the Nolah being a little too soft, but it may be great. As a heavier side sleeper would you recommend which one I should try first? Also for my wife’s adjustable bed do you recommend one more than the other. I’m ok buying one of each if there are two recommendations. If there is one critique about the Sapira, it would be that it is a little on the firm side. However, being heavier you will probably think it’s less firm than others do, so it may be a good fit. The Nolah is pretty soft, so maybe not the best choice based on what you are describing.